Clara is doing well, but progress is slower these days so there's not as much to report and it's not as critical. We're so grateful to be at this point in the journey. I told someone today that I'm thankful that we're worrying about things like how well a pressure sore is healing and whether she's on 50% or 30% oxygen. If these are our biggest problems, we're in a great place. Clara continues to tolerate the weaning of her sedative and painkiller well, although we are seeing a few more signs of withdrawal: shaking, yawning, sneezing, and perhaps her vomiting. It's not bad enough to stop weaning, but I hope that she'll recover quickly and be alright without these meds. She's also alert a lot more now and acting more and more like a typical, healthy baby. This afternoon she was really fussy. Every time I tried to put her back in her bed she would start crying. And then when I'd pick her up, she would stop again. Oh my, have we created a monster?! All those snuggles are irresistible. But after being held all weekend long, I hope we haven't turned her into a drama queen who only wants to be held. When I left, our nurse Melissa was getting her share of snuggles after being at the beach all week last week (we're so glad she's back!). Robert is headed to the hospital now for his turn. We weaned the flow on her oxygen down to 1.75 liters and she tolerated it well. Her oxygen was at 30% when I left and her saturations were okay, but not fabulous, so we'll see if she continues to tolerate that or not. Room air is 21% oxygen, so we're getting very close! We need to continue weaning the flow, too. In order to move to Intermediate, it has to be a liter or less. And in order for her to be able to feed, it probably needs to be at least that low, too. Her morning nurse today described the high flow like sticking your head out of the window while driving down the interstate. Adding eating to that would be like trying to drink out of straw while sticking your head out of the window driving down the interstate. We have to take the oxygen wean very slowly. It's likely to be two steps forward, one step back again and another one of these dances as we get it weaned off. If we don't give her enough support it could trigger a pulmonary hypertension episode. But we also don't want to give her more than she really requires because the oxygen can be damaging to her lungs. Tomorrow we will check her electrolytes and we hope that they will all look a little better. If they do, we'll drop a dose of Lasix and maybe be able to reduce/drop the sodium chloride and potassium that she's on right now. Both of those supplements can cause nausea and vomiting. Which brings us to the next issue - she is still spitting up some. Today Clara went through four outfits. She pooped through the first one and spit up on the next two (Tomorrow we're initiating Plan: Bibs). We're still not 100% sure of the cause of the spit up and whether it's just normal baby spit up, acid reflux, or one of the other medications or withdrawal from. So, we're hoping we can continue to reduce her meds overall in order to improve that situation too. - - Successful weaning of sedatives and painkillers without the wicked side effects of withdrawal. - - The physicians and staff caring for her and making decisions about her care. 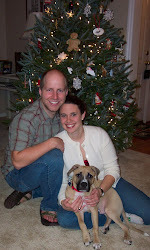 - - Penelope and her family – surgery is scheduled for noon tomorrow. Please pray for them on this important day, just as you prayed for Clara five and a half weeks ago! I know you may not have a lot of time to read others journeys, our family has been reading yours and praying.... I am a mother of a child with autism and someone sent me this blog about being a Mama. I thought you might appreciate.... God Bless and many prayers for Clara! She looks soo great! Continued prayers are on their way from me!!! Clara Mae just keeps getting more and more beautiful ... what a knock-out she is becoming. Any boy babies there??????????? Robert, you had best be on the look out :-)! I know it's great to be thinking about such normal things as needing bibs! I have stacks of bibs, and up until Kord was about 6 months old, I had to wash them about every other day to keep up with his spitting, and he didn't have reflux or anything. So glad that you are able to be thinking of such mundane things, even though it does seem like things are progressing more slowly. :o) Praying for you all! I am so happy as I continue to watch Clara's progress!! Do I see an almost smile in one of those pictures? Don't worry about making a drama queen! I think Clara deserves a few moments of normal baby drama given all she has fought through! :) Our own little drama queen pulled the same stunt last night! Praying for continued baby steps in the right direction for Clara, and for her fellow fighter, Penelope too. Love you!!! This sweet baby girl is in our prayers very often. She is beautiful! Our daughter who is almost 8 months still spits up, just about after every feeding. she doesn't have reflux, but the pediatrician did recommend us holding her upright after she ate for about 30 min. That has seemed to help. Once again your family is constantly in our prayers. I know that God has amazing things in store for Clara. I echo those comments about those big, beautiful eyes and Clara deserving to be a drama queen. She has had a long journey. Prayers for all. My own children, ages 5 and 9, fight each night over who will add Clara to our prayer list. They love looking at her pictures and LOVE when I tell her how well she is doing and how God is making her better. I am also a DC teacher and was told about your blog from a fellow teacher. Please know that we are praying for you, along with many others. Her journey has been such a miracle and I agree with others that she deserves to be a drama queen. What a beautiful baby! She sure is wide eyed and so cute. Makes me want to pick her up too. Just think - you wondered WHEN and IF you were going to get to hold your precious little girl and now she doesn't want you to put her down! Isn't God awesome? Praying constantly and special prayers for Penelope today! Wow! She looks great! I think our nurses got a little annoyed at me because I held my son so much when I was there! Whenever I left, he would cry! :) oops! I feel your pain on the spitting up! My five month old was actually admitted to Brenner's because her's was so bad at one month old. While at Brenner's we saw Dr. Ivor Hill who was amazing. If you can request a consult from him I would highly reccomend it. Have a blessed day! She is so adorable and those eye's are so alert!! Yay for Clara-continuing prayers too! Wow, she look's better every day, she's beautiful. Hold and kiss her all you can, babies can't get too much loving. One day she'll be driving and acting like a teenager, you'll want a kissie, but she won't have time, so love her while you can ! It's been awhile since I checked in on Clara and Can not believe the progress she has made. I think she is homeward bound. Continued prayers from PA. Thank you for sharing this journey with beautiful Clara. Love, prayers, and positive vibes to Clara and her family...also to Penelope and her family.